1.Explain the difference between a virus and a bacterium. 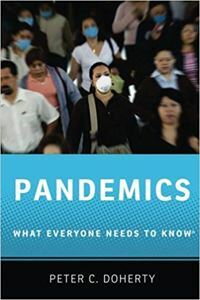 3.List three reasons why influenza remains a pandemic threat. 4.Name at least three types of hemorrhagic virus strains. 5.List carriers of vector diseases. 6.Name the virus that causes foot and mouth disease. 7.List safeguards in protecting yourself from diseases while travelling. 8.Name at least six conclusions that can be drawn when discussing global infectious diseases. Purchase your course and use the test key provided to take your test online. There is no extra charge for online testing and you will get immediate results. You can start and stop your test at anytime so you can work at your own pace. Your test key is found on your receipt, under the description of your purchase. This is a soft cover book. This book has 13 chapters abd 199 pages.